effectively regulate, monitor and control health research conducted in Tanzania. monitor adherence to health research conduct regulations, by the Directorate and other warrant holders at NIMR level to acceptable and agreed policy and practice. 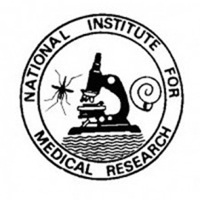 effectively coordinate research Information and documentation at NIMR. liaise with Government departments, private and Parastatal organisations, research institutions, and donor agencies on issues related to health research ethics and publications. influence, persuade and build research information and documentation systems and networks. Sound knowledge in research information and documentation systems. Proven experience in research and publications. To control health research in Tanzania through establishing and maintaining a system for registration of and to register, the findings of health research carried out within Tanzania. To monitor and evaluate health research carried out within Tanzania or elsewhere on behalf of or for the benefit of the government of Tanzania other than that conducted by NIMR. To develop and update guidelines, regulations and standing procedures for controlling, monitoring and evaluating health research in Tanzania. To establish and operate a system of registration and documentation on health research carried out. To provide leadership and guidance to Heads of Departments and subordinates to ensure that each performs to expected level of excellence. To effectively coordinate research Information and documentation at NIMR and to mobilize sufficient resources to support them. To coordinate all research information and documentation activities at NIMR. To assist Centres to prepare brochures and profile of research potential at NIMR and effectively market available capacity. To facilitate dissemination of major research findings through seminars, conferences, workshops, symposia hosted by various centres. To make available to interested parties research abstracts, publications or relevant findings that may inform on policy developments or are instrumental in solving problems. To develop and update guidelines for annual evaluation of staff publications at NIMR level for use by Centres. To prepare, review and managed Directorate budget plans in accordance with the Institute policies and regulations.